Home / Job / Interested to work in USA? How to get job in USA? This is for you.. Interested to work in USA? 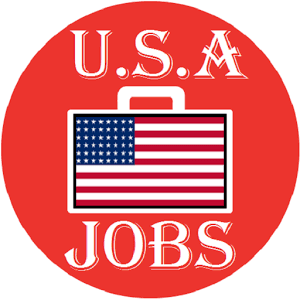 How to get job in USA? This is for you.. Apply for jobs in the cities you have selected. (See below for how to select.) Jobs will be available online at company websites and also on job search websites. Write a resume and cover lettertemplate which can be personalized for specific positions. If the application is handwritten, fill out the entire application in neat block letters. Do not use script, because Americans can have problems reading writing from other countries. Provide references in the United States if possible. Offer an interview via Skype or other web conference. Many companies will ask for many interviews with different people. Send a thank you letter 3 to 4 days after your interview. In traditional companies, a paper letter is appropriate. For high tech jobs, you can follow up via email. Know that getting a work visa to the USA will always take several months minimum. You can offer to do consulting work(paid by the hour) in your home country with the company in the USA for several months, so they can better get to know you. You can offer to visit the company in the USA to get to know them before you get the job. Try moving to America as a student first. Many have found success to moving to America as a student on a student visa, and then finding employment after you are in school. This only works if you can be admitted and pay for a school of course. It is best to choose a school and/or degree that makes it easy for you to get a job. Technical majors will find it easier to be sponsored for a visa by an American company.